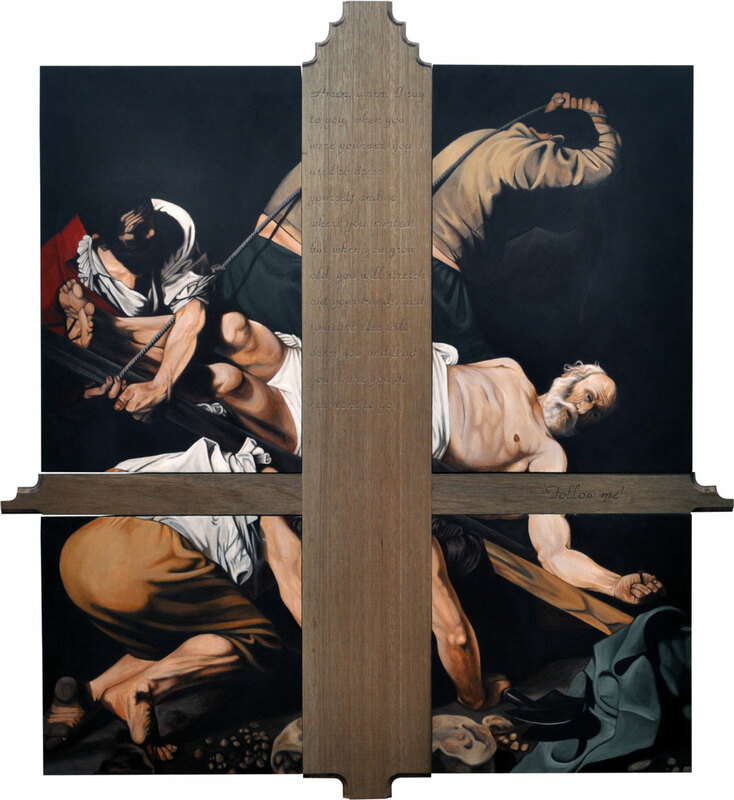 In his latest exhibit, titled Aetas Martyrum (Age of Martyrs), artist Mike Muñoz explores the social and spiritual dimensions of martyrdom in the contemporary setting. “Though the first thing that comes to mind when we hear of martyrdom would be the period of the early Christianity, the topics of persecution, forgiveness and conversion are equally relevant today as before,” says Muñoz. “By incorporating my creative process, I want to create art works that would present my reflections on the topic,” says Muñoz, using carpentry, lighting, text, and industrial metal craft to convey his message. 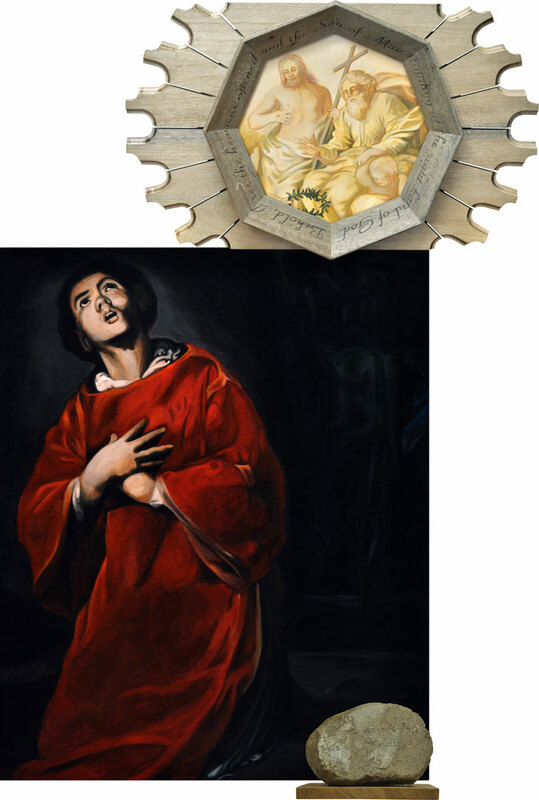 Another piece is “Via ad Danmascum” (Way to Damascus), similarly inspired by another Caravaggio painting, “The Conversion of St Paul.” The painting is divided into two halves, retaining the image of St. Paul on his back, and the upper half featuring a cut-out image of the rays of the monstrance, instead of the Eucharist, and the question, “Saul, Saul, why do you persecute me?” is etched at the center. 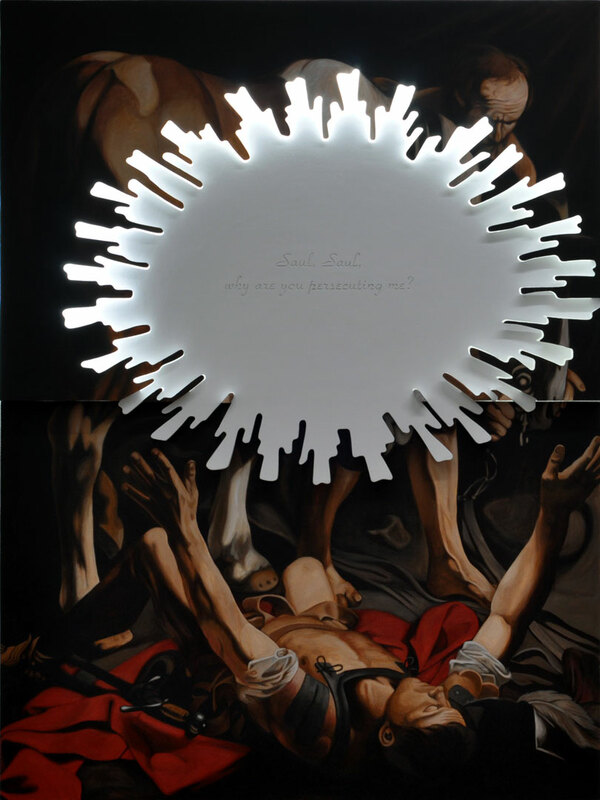 Lights are installed at the upper half, depicting light from heaven and highlighting Jesus’ question. Putting a premium on extensive preparation and research, Muñoz wants his audience to pick up where he is coming from and make their own reflections and conclusions. 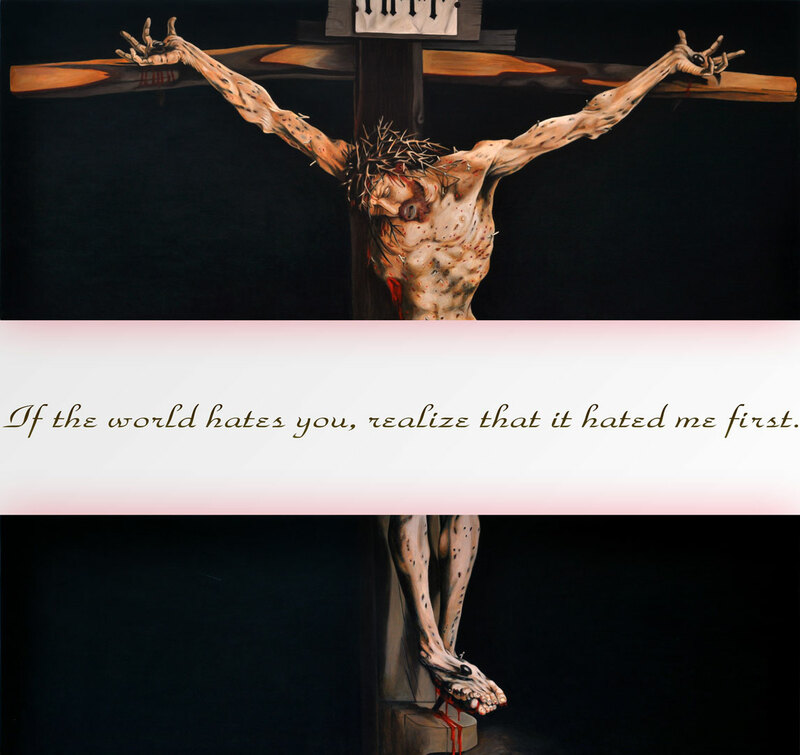 Next year, he plans to put up an exhibition on the history of Christianity in the Philippines.